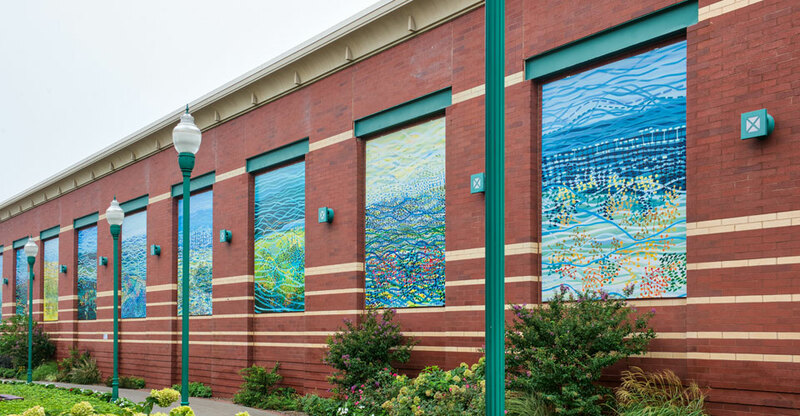 Take a stroll down Gateway Center’s new ArtWalk! Brooklyn artist Abby Goldstein’s stunning exhibit entitled “Ebb and Flow” will be sure to wow you. 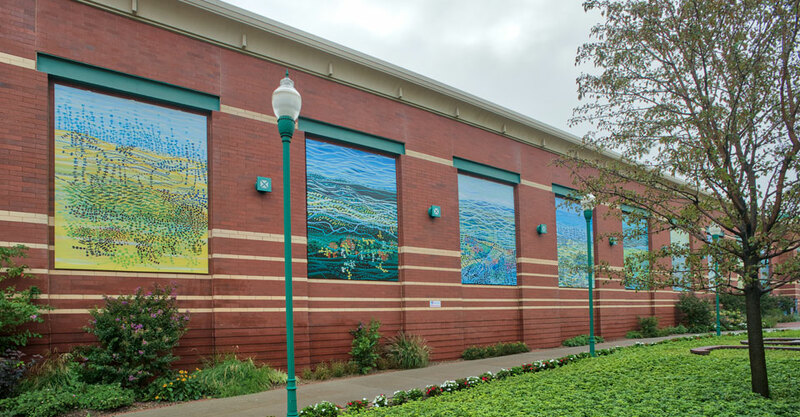 Abby said she was Inspired by the natural ecosystem and changing geography surrounding Gateway Center and that the 11 panels in this installation refer to the ebb and flow of tides along the Spring Creek shoreline. Gateway ArtWalk is located between Bed Bath & Beyond and Staples on the south side of the center and accessible through the food court on the north side. Abby Goldstein (b. Chicago, IL) received a BFA from Pratt Institute, NY and an MFA from the School of Visual Arts, NY. Ms. Goldstein is passionate about art, typography, and design. She is an Associate Professor of Art and heads the Graphic Design Concentration at Fordham University, NY. Ms. Goldstein has exhibited her work in the US and abroad and has received numerous awards, fellowships, and public commissions. Ms. Goldstein lives and works in Brooklyn, NY. Gateway Center and Related Companies are proud to sponsor local Brooklyn artist Abby Goldstein and wish to thank the Brooklyn Arts Council for their assistance.